SAPMER has exceptional fishing vessels to carry out its Ahi Tuna and Skipjack fishing activities in the Indian Ocean and also for the fishing of the Patagonian Toothfish and Rock Lobsters in the hostile French Southern and Antarctic Lands. 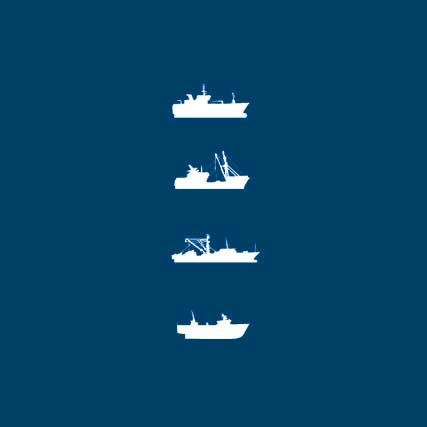 15 fishing vessels bring back the best for the company, which also possesses major storage facilities and a valorization plant to guarantee ultra-fresh products. SAPMER’s adventure started off with a modest three-masted engine-powered sailing vessel. 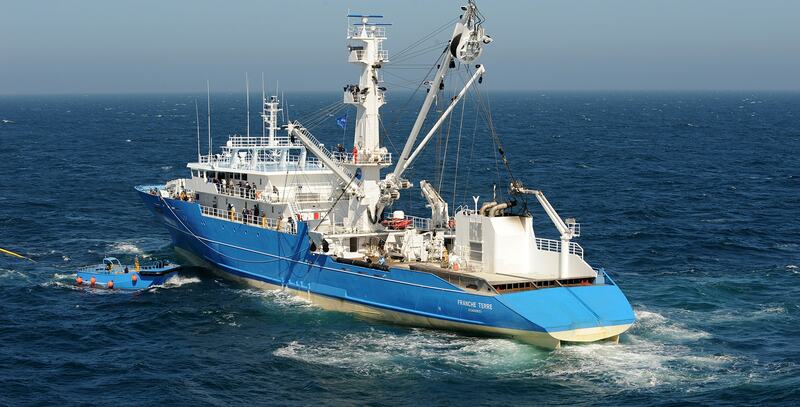 Today, the company owns 15 fishing vessels designed to navigate in extreme conditions. These vessels are manned by passionate sea lovers driven by the same spirit as their predecessors, but equipped with cutting-edge technologies to offer premium quality fresh products. 9 tuna seiners with a capacity of 1000 tons each, focus their Ahi Tuna and Skipjack fishing activities in the Indian Ocean. To guarantee a “fresher than fresh” quality and to preserve the real taste of the fish, they use on board equipment to dry freeze the fish at -40°C within an hour of being caught. 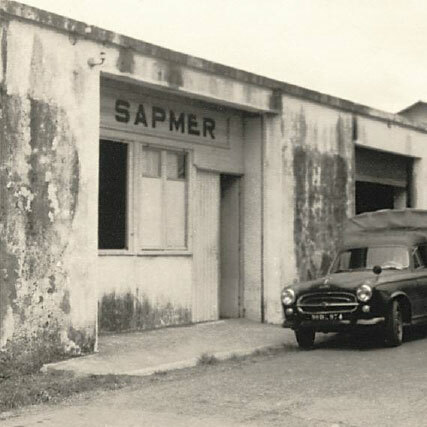 The SAPMER’s fleet is complemented by 4 freezer longliners. They are used to catch Patagonian Toothfish in The French Southern and Antarctic Lands, an operation carried out in difficult weather conditions. The deep-freezing process begins immediately after the fish are caught, cleaned and cut. SAPMER uses a freezer pot lobster vessel to carry out its traditional activity of Rock lobster fishing in The French Southern and Antarctic Lands. As a result of challenging and perilous expeditions, the SAPMER’s teams bring back exceptionally tasty Rock Lobsters having been preserved by the immediate deep-freezing process. SAPMER also owns a patrol vessel for the surveillance of the Ahi Tuna, Skipjack, Patagonian Toothfish and Rock Lobster fishing zones. Activities involving Rock Lobster and Patagonian Toothfish fishing related to the southern seas are managed from Reunion Island. In Mauritius, an island close to the SAPMER fishing zones, a valorization plant called “Mer des Mascareignes” is destined for Tuna and Patagonian Toothfish premium-quality cuts. This is where the loins, center-cut loins, steaks and other premium fillets are processed without the addition of dyes or preservatives. The process is carried out without defrosting the product, in a sub-zero environment and in accordance with the highest sanitary standards. During the process, the exceptional taste and nutritional qualities of the fish are preserved, just as though it is freshly come out of the sea. 15 000 m3 of storehouses representing 2000 tons of storable products at -20°C are available at the SAPMER’s site in Reunion Island. These cold-storage rooms, reserved for the Rock Lobsters and Patagonian Toothfish caught in the southern seas are equipped with two 8°C shipping halls and an 8°C delivery area used as dockside space for the sorting and palletizing of unloaded products. In Mauritius, the plant hold a large storage capacity. Cold-storage rooms inspired by Japanese know-how make it possible to maintain the fish at an ultra-low temperature of -40°C while guaranteeing their ultimate freshness. Transportation in refrigerated containers is also carried out at very low temperatures to ensure the “fresher than fresh” standard is all the way to the end of the supply chain. From Mauritius, the reefers will cross the seas on their way to European, Asian and North-American markets, much to the delight of gourmet and fresh fish lovers. 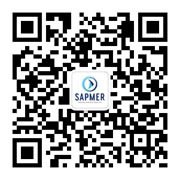 SAPMER operates cold-storage facilities at similar sub-zero temperatures in 30 countries around the world. All these logistic facilities ensure the “fresher than fresh” standard for a freshly caught fish of premium quality. Welcome aboard the FRANCHE TERRE! Discover one of 15 SAPMER's fishing vessels, designed to sail in extreme conditions.